Uses a familiar Windows interface that can be adjusted to suit your preferences. 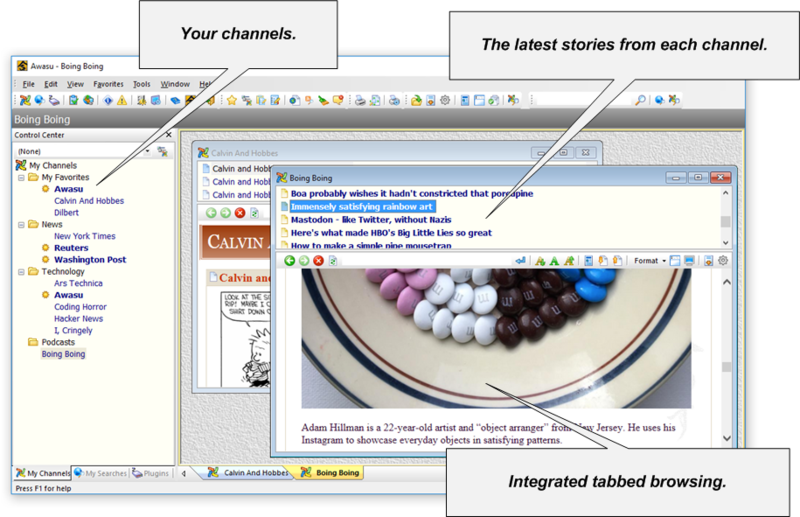 Channels that have new stories are highlighted in the left-hand pane of the main window. 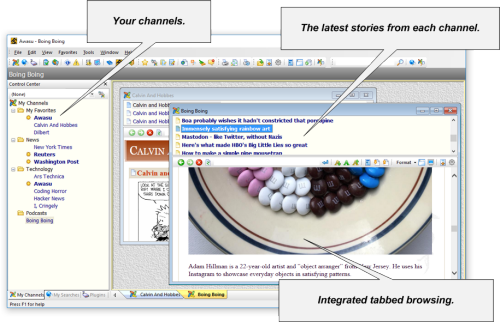 Each channel opens in its own window with an integrated browser. Stories that you have not read yet are highlighted in each channel.